Gemma and I were very fortunate to have Bec as our Wedding Planner. Trust us, Bec is worth her weight in gold! Bec was well organized, honest, professional, very easy and fun to work with. Bec was able to put together our entire wedding from interstate! With Bec’s help we were able to spend our dream day together and with our friends and family completely stress free. 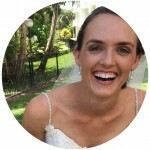 Bec’s knowledge, experience and hard work made the wedding run very smoothly. Bec is a first class operator that goes above and beyond to ensure her clients are happy. We loved working together with Bec and can highly recommend both hiring a wedding planner for you big day (as well as the lead up) and having that wedding planner be Bec herself! It was an absolute pleasure working with Bec for the last 6 months. My husband and I tied the knot on the 29th of July this year and we couldn’t of done it without the wonderful Bec. Bec was such a pleasure to work with and we can’t thank her enough for executing our fairytale wedding. From the day I met Bec I was stress free and knew that she understood my ideas and would be able to make them a reality on the day. Bec is such an understanding, kind and caring soul it was an honor working with her. 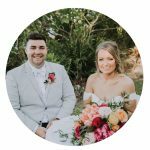 Coming from Brisbane I knew that I wouldn’t be able to arrange anything without interrupting my very busy work like, I can’t describe how easy it was to plan my wedding with Bec. On the day she was by my side and I was able to relax and take in what is one of the most important days of your life and I thank her for allowing us to enjoy every second of the day stress free. Bec you are such a wonderful person and excellent wedding planner, we thank you wholeheartedly. 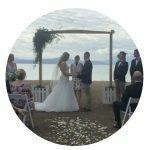 When my now husband and I were looking for a wedding destination, Port Douglas stood out as a clear winner for us for many reasons apart from a sentimental one but the thought of planning a destination wedding in Tropical North Queensland all the way from Sydney was so overwhelming. Being an Event Coordinator myself I had high standards for what I wanted from a Wedding Planner but after finding Bec online and having our first chat over the phone, Bec ticked all the boxes for us. 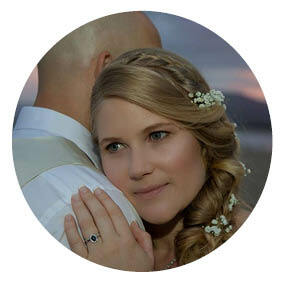 From the very first contact with Bec she was professional, punctual and prompt and made us feel completely relaxed and that she had everything in hand. Leading up to our big day Bec was in constant contact with me ensuring that every little detail was just as we wanted it. 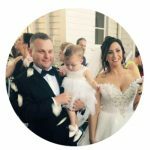 Bec looked after everything for us from negotiating pricing with the venue, booking flowers, hair, makeup and even babysitters – nothing was too much for Bec. On the day Bec was busy running around in the background between the bride and grooms parties and putting the final touches on the Chapel and Reception Venue which meant we could relax and enjoy the day without any stress. The ceremony and reception were absolutely perfect and I couldn’t ask for anything more! 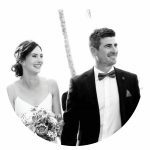 I would happily recommend Bec to friends, family and of course anyone planning their dream wedding in Port Douglas. 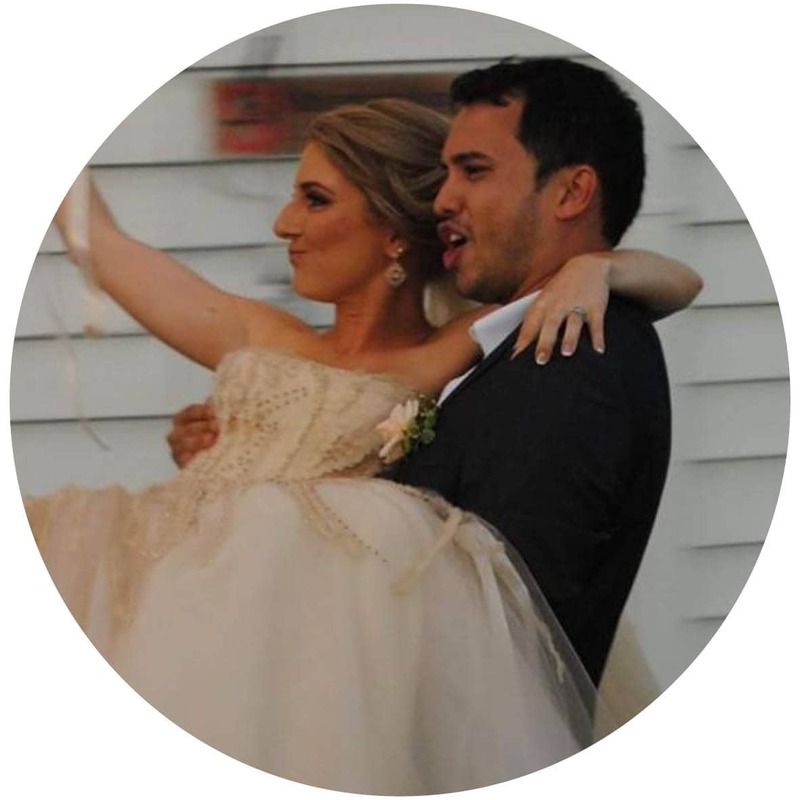 Bec will make the whole process so easy so you can focus on enjoying your day and celebrating your marriage. What can we say but THANKYOU Bec!! without a doubt this was the best decision we could have made to get Bec to plan our surprise wedding at my 50th Birthday party. She had us completely organised and we didn’t have to worry about a thing -even when our photographer cancelled on us at the very last minute she found a replacement straight away. The day was beautiful and went EXACTLY as planned, and the best part is she is just the nicest person going. Thanks Bec. My Husband and I were very lucky to have Bec as our wedding planner, it was the best decision we made (after deciding to get married). From the word go, Bec was so helpful, knowledgeable and fun to work with. From a few photos that I sent her, Bec put together an absolutely magical environment for our wedding and reception. Even when unexpected issues came up at the 11th hour, Bec kept her cool and found a perfect solution. I keep hearing how stressed out Brides can be, but with Bec having my back the whole way I could just relax and enjoy our day. Everyone I have talked to since the wedding had nothing but good things to say about Bec, how friendly and organised she was, and I totally agree. Bec is a fantastic planner, organiser and just a beautiful soul to boot. Bec, we had an idea of what our wedding day would be like, but what you put together far exceeded what we were imagining. Thank you for making our day perfect. Bec helped us put together the most spectacular wedding. It was everything we wanted for our big day and we wouldn’t change a thing. Bec’s knowledge of the area and her relationships with suppliers meant we got all of the bespoke touches we wanted, whilst still getting great value for money. Bec addressed my millions of questions and requests with the upmost professionalism. I never had to wait days for a response and her personalized way of working made us feel like our wedding was as important to her as it was to us. Not only did we have the most beautiful wedding which ran seamlessly and was stress free, we had the pleasure of working with Bec to bring it all to life. The best decision we could’ve made when we first became engaged was to call on Bec. 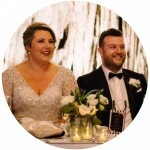 Being from Victoria, planning a wedding from afar is not an easy task and Bec, from the very beginning to the very end, made sure our special day was absolutely perfect. From helping us chose suppliers through to suggesting some really cool ideas (the little touches are always the most effective) Bec was there for us every step of the way. 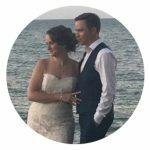 Bec was incredibly responsive, warm, friendly and has such a personal approach it made us feel like our wedding was so incredibly important. Bec has a great network in the area which really helped in picking quality suppliers but also within budget. On the day we were having such a good time that we could completely switch off and not worry about a thing. Bec, you made the entire process of getting married so easy and stress free that it truly was the best experience of our lives, thankyou so much!!!! My husband and I are so happy that we chose Bec and Dragonfly Weddings and Events to plan our wedding. From the very beginning of the process when we were still working out what our budget would stretch to and what sort of wedding we wanted to the week and day of our wedding Bec was amazing. We both work full time and live in Tasmania, so planning a destination wedding could have been incredibly stressful. However Bec made every stage of the planning process easy. 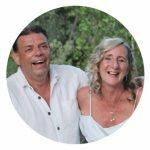 She provided us with information and options which fell within our budget, allowing us to make choices that we were happy with. 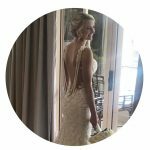 Her responsiveness and flexibility meant that she researched and sourced solutions and alternatives so that our wedding was exactly what we wanted. THANK YOU!! You were so amazing and thoughtful and professional and completely wonderful for our wedding and all the lead up questions/changes/decisions. You were such a positive and kind person to work with. Thank you for the extra touches as well – huge favours! Huge thanks for going above and beyond for our wedding in June. It was as close to perfect as we imagined. Seriously you nailed it, so thank you. You’re professional, great at calming Groomzilla’s and great at your very demanding job. And have a family too – Wow. 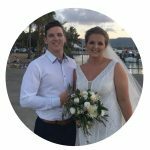 While Darren and I knew Port Douglas well, it was invaluable having a reliable local event planner to help us manage our big day from afar. Bec was a wonderful support throughout the entire wedding process. She made great recommendations on food and beverages, styling and the general flow of the reception. Bec provided a friendly and professional service and went above and beyond to ensure our day was trouble-free. We couldn’t have asked for anyone better!